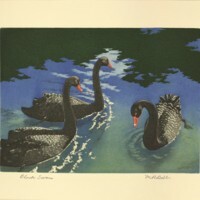 Etching entitled "Mountain Stream" by Thomas Nason. 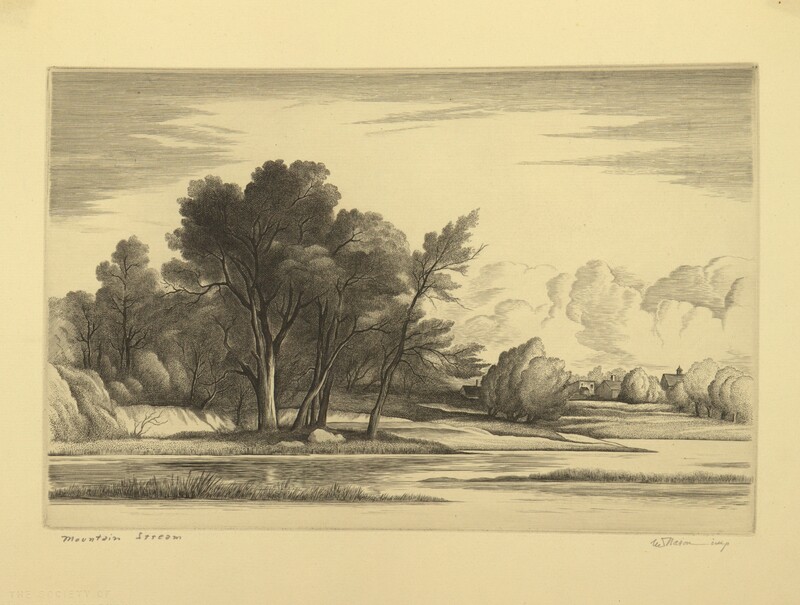 The etching depicts a gentle stream with trees at the water’s edge. At the bend in the stream there is a town that is a small distance from the edge of the stream. 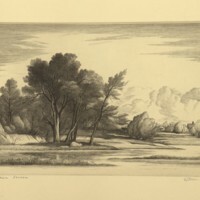 Library of Congress, Wash., D.C.
9 6/8" x 12 1/2"
Nason, Thomas Willoughby, “Mountain Stream,” Digital Exhibits, accessed April 22, 2019, https://cuexhibits.wrlc.org/items/show/70.